Nikki tells how her writing journey started and what inspires her to write. The Evangelical Christian Publishers Association (ECPA) has named The Next Target the winner of the 2013 Christian Book Award for Fiction. The award has been presented annually to the finest in Christian publishing since 1978 and represents Christian publishing’s highest quality and novel of greatest impact for 2013. It is among the oldest and most prestigious awards program in Christian publishing. 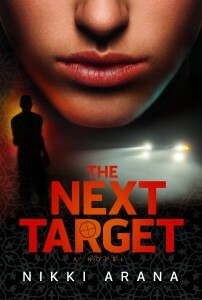 Arana’s novel, The Next Target, was inspired by her ministry, A Voice for the Persecuted, which helps keep alive Christians who are under the threat of death. She presents a powerful novel of intrigue with a compelling twist on Muslim-Christian relations. The novel’s heroine, Austia Donatelli, a young widow with an underground evangelistic ministry to Muslims near L.A., discovers a friend, someone close to her heart whom she recently led to Christ, has been murdered. Suddenly, Austia, her ministry, and everyone she cares about are thrust in the crosshairs of a terrorist organization. As the extremists zero in, she must unravel the deception surrounding her and protect innocent lives, including her own. Past winners have included New York Times Bestselling authors Joel Rosenberg, Karen Kingsbury and Ted Dekker. Be sure to add your own review if you’ve read The Next Target! PUBLISHERS WEEKLY RAVES ABOUT THE NEXT TARGET Award-winning novelist Arana (The Winds of Sonoma) brings her real-life ministry among Muslim women to bear in her newest. When ESL teacher Austia hires a translator, Zaki, to work among Muslim immigrants learning English, she soon suspects he is involved with a plot to kill her because of his ties to a terrorist cell. But Zaki is actually an operative for the FBI infiltrating the cell to bring it down. He’s torn between a tough assignment and a precarious cover, and any overt action to keep Austia safe will jeopardize his mission. Arana’s vivid imagery is imbued with spiritual force (“The single, avid eye of hell was focused on her every move”), and her pacing is fiercely powerful. The novel raises gripping issues of liberties, religion, and cross-cultural and cross-religious dialogue. Through the eyes of Zaki and Austia, deep religious and moral conviction is examined in real-life situations. Characters are multidimensional as they fight “[f]or truths that were self-evident, for rights endowed by the Creator…” Above all else, Arana treats the interplay of Christianity, Islam, and Judaism compassionately and fairly. CHRISTIAN RETAILING MAGAZINE ANNOUNCES THAT NIKKI ARANA WILL BE FEATURED IN THE JUNE 2012 EDITION. Nikki Arana will be interviewed by the leading Christian retailing magazine in the country. She will discuss how she was inspired to write her newest release, The Next Target, how the plot evolved, and how she became an activist in the Christian underground. You can also click “Like” while you’re there! All of you who love to read Christ centered fiction that deals with tough issues. Fiction that seeks to show how God’s Truth transforms characters on their journey. I think you would enjoy the Transformational Fiction Fan group. It’s a place to discuss and share with others the books you’ve read that impacted your life or how you look at things, or that ministered to you in a way that you knew God was using the book to speak to you. 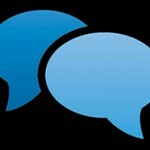 You’ll also find the authors of those kind of books posting there and sharing their stories. We are one body. Some of us write, some of us read. But no matter how we spend our time, we know it is really all about Him. Please take a minute to visit and see if it’s something you’d enjoy. BOOKCLUB QUESTIONS ARE AVAILABLE NOW! RT REVIEW !!!! 4 STARS Arana’s latest novel delves into the conflict within the Muslim community, between those who stay true to their religion and those who convert to Christianity. *Powerfully written*, this is a story about what it means to live a life worthy of God’s calling and about what love, faith and forgiveness can lead to.